Robometricschool. - Qualcomm chips will almost certainly be found in all mobile phones in the world. But it seems that was not enough for Qualcomm, because the chip manufacturers are also called drones will soon penetrated business. 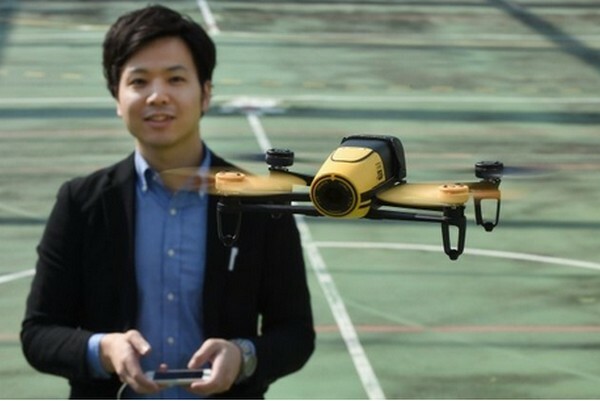 The use of drones themselves are booming in recent years, from just a hobby to professional use unmanned flying device to support their activities. Qualcomm saw an opportunity and expressed interested in the business of drones. But instead Qualcomm will make its own drones. So as in the mobile phone business, Qualcomm also will act as a supplier of chips needed drones. Even US companies have had boasted Snpadragon 800 will be the first chip in the business drones. The reason for choosing the processor that had been a mainstay because drones are often used for the purpose of photography or video. In addition drone also need a navigation system and good communication in operation. Snapdragon 800 are believed to have an answer to that need. If the phone, Snapdragon 800 actually is known to have a powerful performance in a mobile phone. But besides that this processor also has an excellent ability to handle image processing. The average mobile phone that use this processor has the result of very good quality camera. This excess wishing Qualcomm used drones in use today. By using homemade chips, Qualcomm also said the sale price could be cheaper drones again thanks to the use of the chip is used more efficiently. Because later it only takes one chip to handle a variety of computing needs. For information, currently called the drones are still using multiple chips to meet their needs. Reported from Ubergizmo, Saturday (08/22/2015), Qualcomm said it would officially announce his intention to the drone of business and share more information in September.